The NES is one of the most iconic video game systems of all time, and is often credited with saving the American video games industry in the early 80s when it looked likely to collapse. 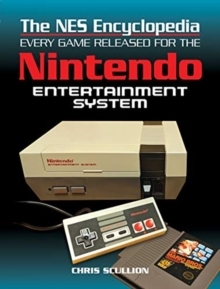 The NES Encyclopedia is the first ever complete reference guide to every game released on the Nintendo Entertainment System, Nintendo's first industry-defining video game system. 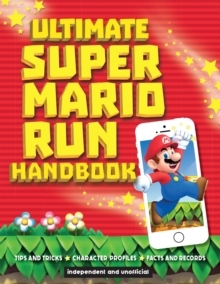 As well as covering all 714 officially licensed NES games, the book also includes more than 160 unlicensed games released during its lifespan, giving for the first time a definitive history of this important console's full library. Written by a retro gaming expert with 30 years of gaming experience and a penchant for bad jokes, the NES Encyclopedia promises to be both informative and entertaining with masses of information, full-colour screenshots and little-known facts. The NES continues to enjoy a strong cult following among Nintendo fans and gamers in general with wide varieties of officially licensed merchandise proving ever popular: both for older fans who remember it the first time around, and younger gamers discovering the system for the first time through Nintendo's regular re-releases of its older games. Nintendo's most recent console, the Switch, is the fastest selling video game console of all time in the United States and Japan. Nintendo recently launched an ever-growing library of classic NES games for download on the Switch, meaning a new audience of gamers is discovering the NES for the first time.